From sluggish shower drains to backed up toilets and stopped up kitchen sinks, one thing’s for sure: A clogged drain really slows down your day! No one particularly wants to deal with the hassle of a clogged drain, but almost every homeowner will have to have some point. Clogged drains are one of the most common plumbing woes, but fortunately, they’re one of the easiest to fix. If you have a clogged drain, you may be thinking about going to the store and picking up a chemical drain cleaner or using a drain snake. While these options seem like great ideas, they can make the problem worse. Chemical drain cleaners are extremely dangerous, and snakes make a huge mess when used incorrectly. At GT Campbell Plumbing, our technicians are highly trained and they have the right equipment for drain cleaning in Victor NY. Having your drains professionally cleaned is safe and more affordable than you may think, and we’re a company you can count on for honest and dependable service. Liquid drain cleaners are made of chemicals that are strong enough to liquefy things like hair, grease and food trapped in your drains. Can you imagine what those toxic chemicals could do to your skin or if accidentally ingested? There’re also really hard on your home’s plumbing system and could do more harm than good. Here at GT Campbell Plumbing, we understand that homeowners down want to spend a lot of money to fix a clogged drain. We offer honest, upfront pricing, and when you choose us for the job, you can rest assured knowing that the clog will be completely removed. 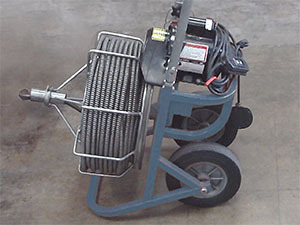 DIY drain cleaning can be dangerous and often leads to huge messes and additional expense. Doesn’t it make sense to hire a professional in the first place? If you need professional drain cleaning in Victor NY or the surrounding areas, please contact us today by calling your trusted plumber in Victor NY.